As the US FDA moves towards issuing final guidelines on biosimilars, recent research with specialists in five main therapy areas suggests they are willing to embrace them if efficacy and safety concerns are addressed. The US has approved or recommended approval for just two biosimilar drugs to date – Inflectra, a Celltrion/Pfizer biosimilar of Johnson & Johnson and Merck’s Remicade, in February 2016, and Zarxio, a Novartis/Sandoz’ biosimilar of Amgen’s Neupogen, in March 2015. Compare that to the EU, where 19 biosimilar brands have been approved by the European Medicines Agency 1 since 2006. There is no lack of strong opinion on either side of the biosimilars vs biologics divide in the US, with April’s planned Food and Drug Administration (FDA) hearing being delayed to allow both groups sufficient time to prepare. Yet a new survey 2 of US physicians in the five clinical specialities with the most significant biologics prescribing patterns suggests that they appear to be poised to embrace biosimilars with gusto. 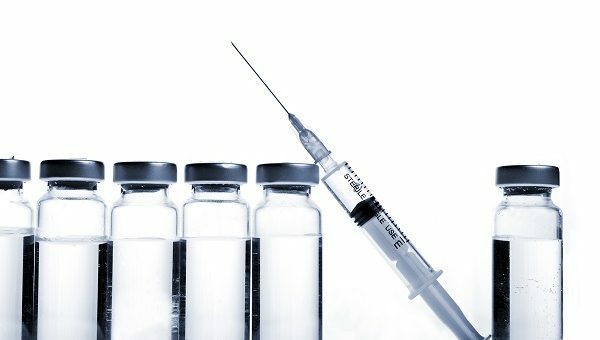 The research showed that nearly half of the doctors – working in dermatology, endocrinology, gastroenterology, oncology and rheumatology – anticipated expanding their prescribing of biosimilars in the next three years, as biosimilar availability increases. Although efficacy (89%) and safety (81%) considerations ranked higher than drug costs (71%) among their concerns, it was clear that biologics-prescribing physicians viewed biosimilars as a potentially important way that healthcare professionals could reduce patient drug costs. Respondents regarded lower costs as the top way that biosimilars could bring value to their patients. However, one in four doctors said that payers and insurance firms would ultimately determine – if not mandate – their level of biosimilar prescribing over the next three years. “Biosimilars will be cheaper. If the efficacy is there and the price is better, then why not?” one oncologist summed up the physicians’ response. A total of 17% of respondents felt biosimilars would become the norm or replace biologics in the next three years. • The bigger the discount, the more likely it was that the biosimilar would be prescribed. Assuming physicians had the choice between an FDA-approved biosimilar and its originator biologic, 83% would prescribe a biosimilar if it were 25% cheaper, versus just 33% if it were 5% cheaper. • Endocrinologists and oncologists appeared to be somewhat less price-conscious than other specialists, with about half claiming that they would be likely to prescribe a biosimilar with only a 5% reduction on the cost, compared to only 20% of dermatologists and rheumatologists. • Physicians expected to prescribe biosimilars to a greater proportion of their treatment-naïve patients (49%) than to patients currently or previously treated with the originator biologics (30% and 38%, respectively), for understandable and practical reasons. With treatment-naïve patients, “It’s easier to get a new authorisation than change in the middle of treatment,” reasoned one oncologist. However for patients previously treated with an original biologic, but requiring retreatment, the need for a new approach might be indicated. “For new starts, or resumption of therapy now requiring retreatment after stopping for a period of time, it will be easier to start on the biosimilar, especially if there are cost savings that will accrue to the provider group,” said one gastroenterologist. Interestingly, with legislation proposed or pending in several US states regarding pharmacy-level substitutions, sentiment on interchangeability offered mixed results. • Only two out of 10 stated that they were likely to strictly prohibit pharmacy-level substitution of the originator biologic with biosimilars. • Conversely three out of 10 respondents said they would never prohibit substitutions, and four out of 10 stated that they would treat substitutions on a case-by-case basis. • Oncologists and endocrinologists were the most likely to allow pharmacy-level substitution on any of their scripts, while dermatologists were the most likely to issue a dispense-as-written clause. 2 InCrowd’s MicroSyndicated survey captured data from 150 US-based board-certified physicians in specialities where biologics prescribing is significant, including 30 each in dermatology, endocrinology, gastroenterology, oncology and rheumatology, who had been in practice for between three and 39 years. Respondents were triple-verified, had personally treated patients with biologics therapies, and were familiar with biosimilars treatments. They responded to a six-minute microsurvey on 4-5 February 2016. 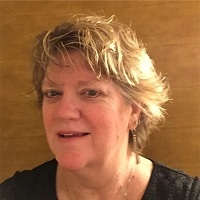 Diane Hayes has a PhD in epidemiology and is the president and co-founder of InCrowd, which provides real-time physician and patient insights to 19 of the top 20 global pharma companies, as well as the life sciences industry. Contact the company here.